Instead of shopping on Thanksgiving Day, bring your kids by the National Museum of the American Indian. Inspired by Native science and technology, Exploring Art + Technology Labs are hands-on workshops focused on Indigenous innovations. Join us in the new imagiNATIONS Activity Center every first and third Saturday of the month to tinker, make, learn, and create! Inspired by the exhibition Transformer: Native Art in Light and Sound, workshops explore the intersection of art, science, and technology through hands-on, experimental activities. Projects align with STEAM approaches to learning. Andean-American artist Aymar Ccopacatty (Aymara) has made textile artwork from recycled plastic and other materials since plastic invaded his family’s small community on Lake Titicaca, Peru in the late 1990s. 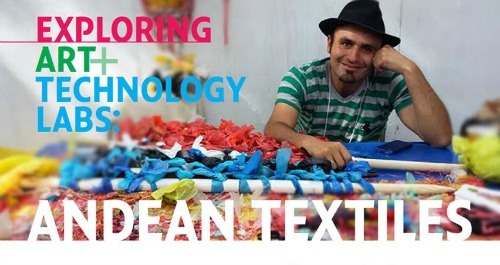 This series of Labs explores various Andean textile techniques such as warp-faced weaving (Sawuña), braiding (Qanaña), spinning (Qapuña), and twisting (Mismiña), while using recycled plastic and found objects. Gain knowledge in the art of weaving, while inspiring reflection on our big global plastic problem! Did you the National Museum of the American Indian hosts a series of family-friendly events and entry is free, 7 days a week? Visit the Smithsonian Museum and learn about the Taíno, who are one of the Indigenous peoples of the Caribbean. Join educators in the galleries to learn more about Taíno history, culture, and worldviews from museum specialist Jorge Estévez (Taíno). Through cultural materials and live demonstrations, Jorge facilitates discussion of the persistence and depth of Taíno lifeways and living traditions. 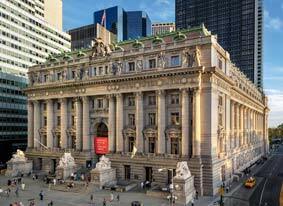 Free access to NYC museums with your library card! New Yorkers officially have the best library cards in the nation. As a New York Public Library cardholder, you already know that your library card gives you access to a stunning variety of books, research materials, and so much more. 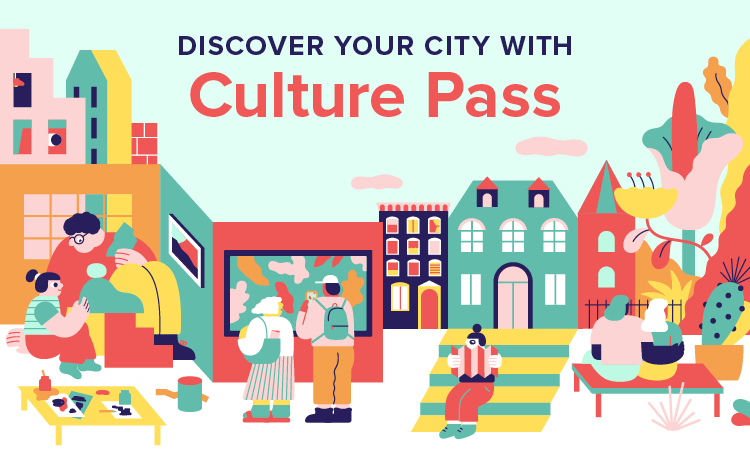 And now, your library card gives you access to even more thanks to Culture Pass, a new service that allows cardholders to visit dozens of cultural institutions around the city for free. 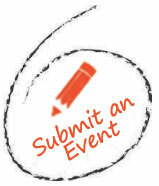 Through Culture Pass, you can reserve free passes to dozens of museums and cultural institutions around the city. Simply visit their website HERE and select The New York Public Library, enter your library card barcode and pin, then choose from the variety of participating institutions and select when you’d like to visit. 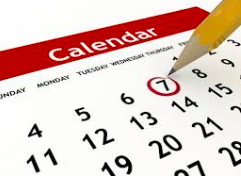 You can borrow passes for dates between two and three months in advance (depending on availability), and can have two pending reservations at any given time. After reserving a pass — for two or four people — you can print your pass at home or at your local library, or select the mobile option, and show the reservation confirmation on your phone. FiDi Families welcomes the National Museum of Mathematics (MoMath) to 28 Liberty Plaza for the second annual New York City Math Festival. The full day of mathematical fun will feature hands-on math exhibits, entertaining mathematical games, intriguing puzzles, brain teasers. 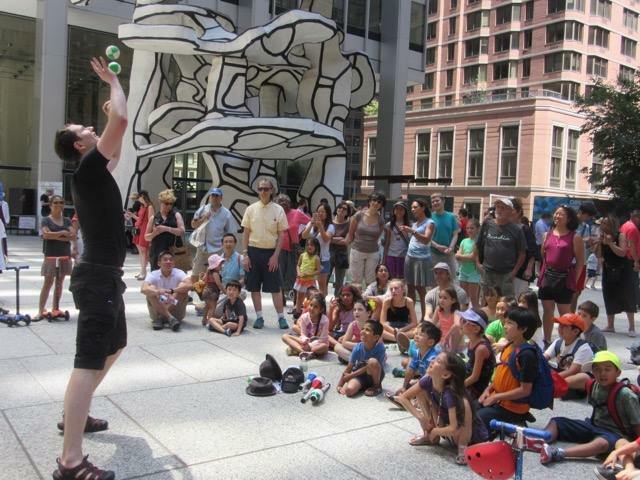 Among other performances, educator John Chase will reveal the secrets of mathematics and demonstrate a juggler’s ability to anticipate the path of a ball or club in space and time. Group constructions of giant sculptures, including the amazing rainbow-colored hyberbolic Hilbert’s Rainbow with mathematician Chaim Goodman-Straus and the six-foot tall geometric structure Goldberg Variations with mathematician David Reimann. If you can thread a cable tie through a hole or count to six, you can help!